Those in attendance at HITEC 2018 saw something very clearly. Our industry is growing leaps and bounds in technology, particularly real-time solutions entering the space. During the Entrepreneur 20X Pitch Competition (E20X) the idea of real-time technologies was abundant. The Judge’s Choice Award winner, REPLY.AI, is making the world of guest communications more about instant gratification. Personalized chatbots empower guests with even more control of their interactions. The E20X People’s Choice Winner, Beekeeper, is taking the same real-time communication experience and putting it into the hands of hotel employees through its comprehensive app enabling onsite teams to further streamline operations. Continuing the trend of instant gratification and guest empowerment, we were honored to be included as an industry partner for Amazon as they announced the launch Alexa for Hospitality. The introduction of in-room voice control further brings the familiarity of at-home consumer tech into your guest hotel stays. Through our integration with Alexa, your hotel guests can control any TV function by simply asking, “Alexa, please….” We thrilled by the Amazon news for the industry, for WCI, and more importantly for our customers. 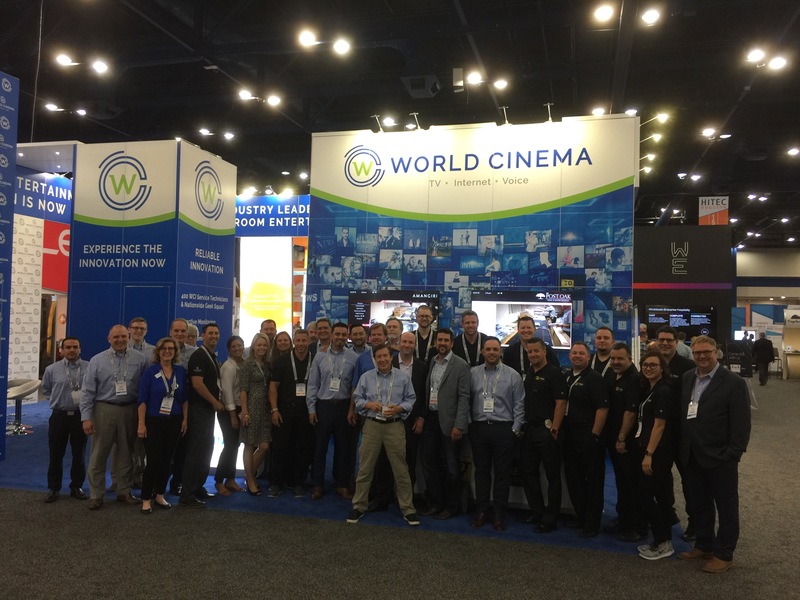 More than 55 WCI team members were on hand to share our evolution of the in-room entertainment experience with conference attendees. This was our largest group ever to attend the show. We announced three powerful partnerships. In addition to Alexa for Hospitality, we are now a sales partner for the new SHOWTIME Hotel App. We also continue to grow our technology and installation services partnership with Best Buy. We hosted close to 100 partners and customers at a VIP Event during the Astros game. While the boys of the diamond may have lost, it was a homerun, evening filled with great people.